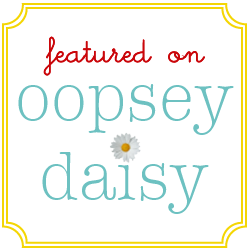 Wednesday’s Wowzers: Beating the PostVacation Blues! 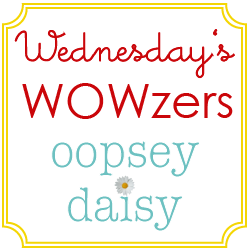 You are here: Home / wowzers / Wednesday’s Wowzers: Beating the PostVacation Blues! I am happy to report that our vacation laundry is 98% done. 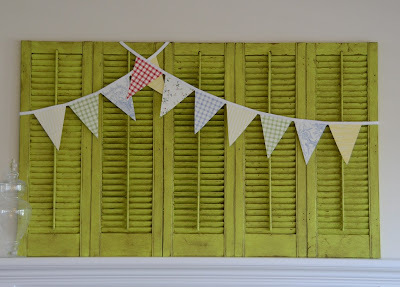 I am seriously in love with this wallpaper pennant bunting. Plus those amazing shutters. Plus the amazing color of said shutters. Okay, I love it all! 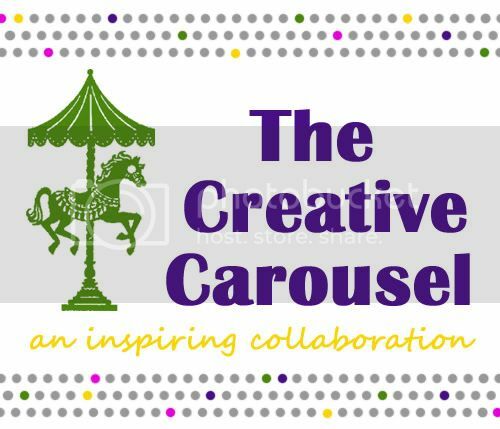 You can find out all the juicy details about THIS eye candy at Crap I've Made. We all love freebies. 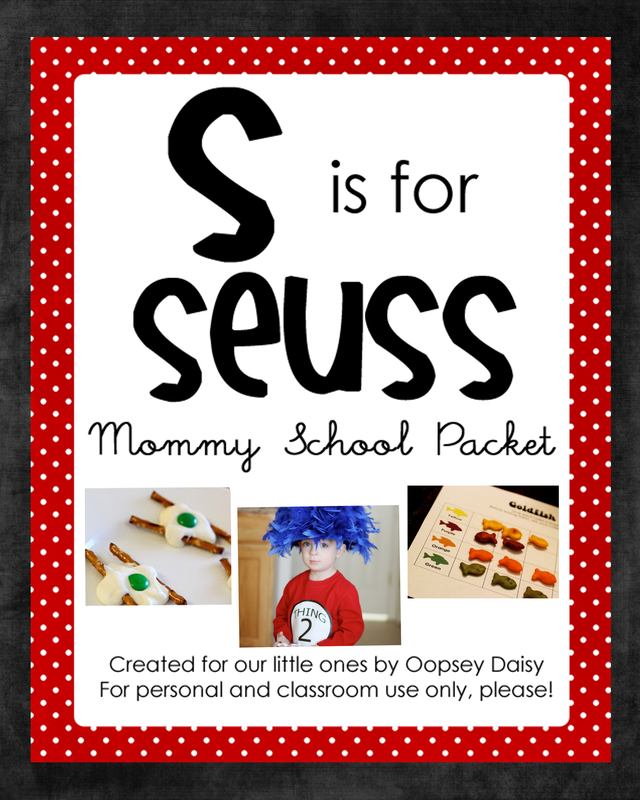 But this freebie of the month is SO cute! 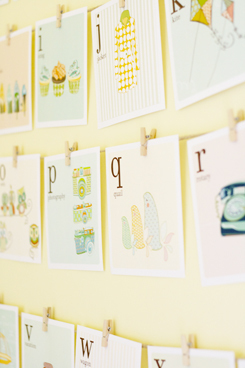 Handmade Home offers these "alphafantastical home decor" cards. You can download a card for each letter of the alphabet. 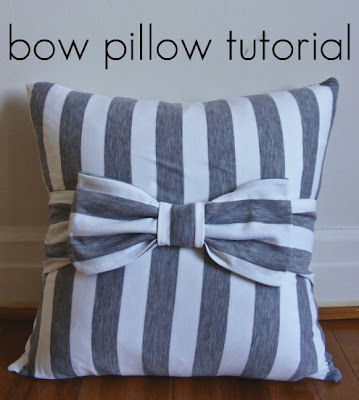 I saw this bow pillow weeks ago. But I can't get it off my mind! Isn't this a fun idea?! And the striped fabric is perfect! E Tells Tales is the genius behind this pillow. I just stumbled upon this amazing laundry folding station from Just Between Friends. This is stunning. And it makes my laundry room feel sad. I'm inspired to turn things around in there! My pal Susan from Living With Punks posted these amazing DIY cupcake flags on Momtastic. 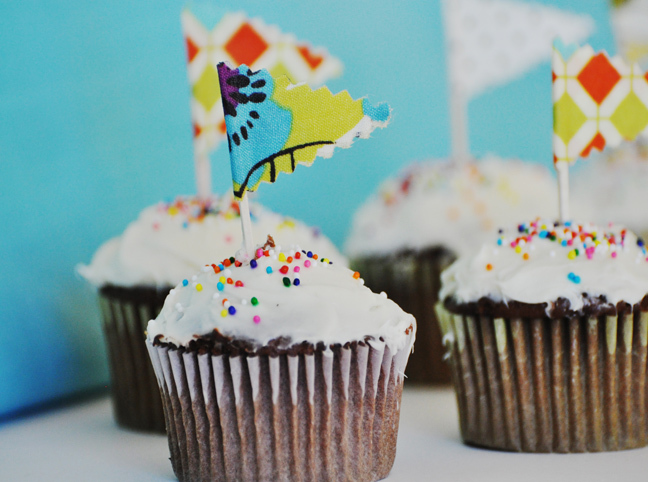 What a fun way to dress up cupcakes! Jen from Scissors and Spatulas is ah-MAZ-ing! 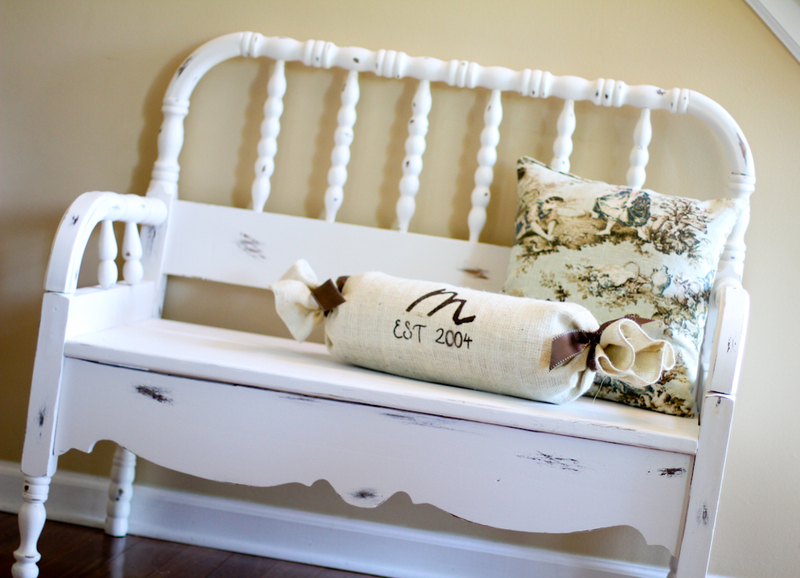 I love how she turned her husband's old headboard into this bench for their home. Go leave some comment love today! Thanks for featuring my bow pillow tutorial! Thanks for featuring me today!! I love those ABC cards! 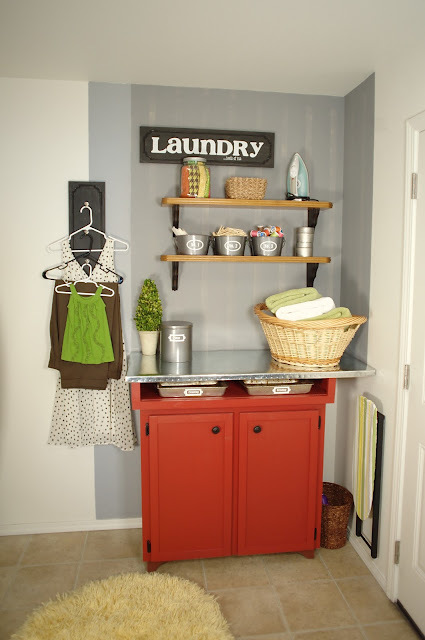 Thanks for featuring my laundry station! What an honor! Wowser! I love every single project! Makes me wish I had a little more time for crafting.